Winter skin can get dry and flaky. 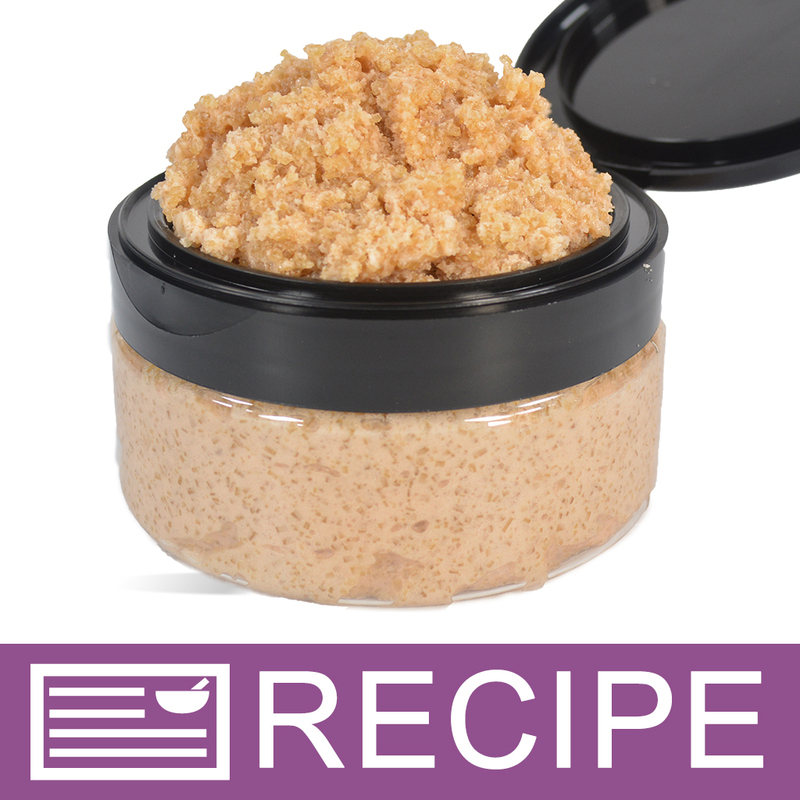 Make this brown sugar scrub to gently exfoliate and get rid of that flaky skin on heels, elbows, etc. Avocado Oil, Olive Oil and Shea Butter moisturize to leave a shiny, smooth skin. The scent of Sweet Potato & Brown Sugar is almost good enough to eat! You Save $18.41 by purchasing this kit rather than buying the items separately. Sugar, Olive Oil, Avocado Oil, Shea Butter, Emulsifying Wax, Stearic Acid, Fragrance, Vitamin E, Propylene Glycol, Diazolidinyl Urea, Iodopropynyl Butylcarbamate, Mica, Titanium Dioxide, Tin Oxide, Iron Oxide.